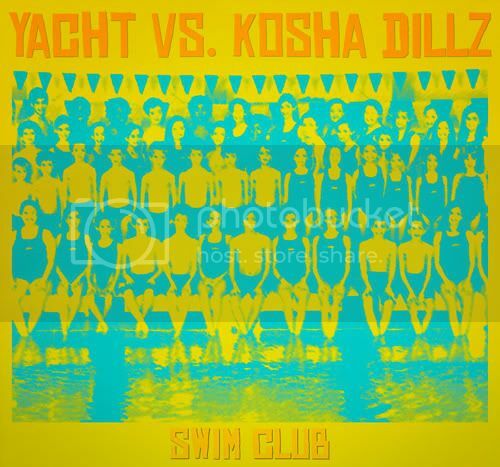 Kosha Dillz takes on Portland indie rockers YACHT, on his latest, “Swim Club” album, dropping Zohan and Blackberry references over 8 hip hop remixes to thier “See Mystery Lights” album, which Pitchfork calls “Best New Music.” in 2009. A dance crazed electric party over chopped up experimental riffs and kosha raps can only mean one thing. FUN!